James - I Say Ding Dong Shop - Buy Stickers, Decals & Unique Automobilia. James 3D Style Cut Text Sticker. 3" or 4". 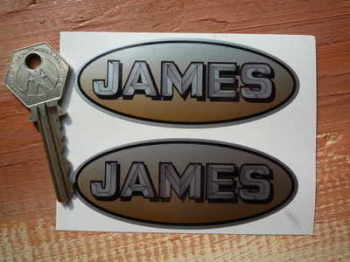 James Curved Gold Cut Text Sticker for Motorcycle Front Number Plate. 5.75". 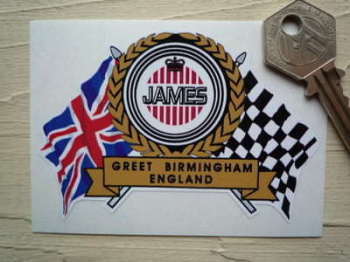 James Flag & Scroll Sticker. 3.75". 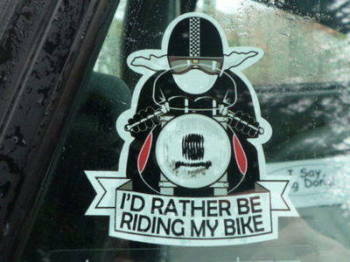 James Motorcycle Circular Stickers. 2" or 3" Pair. 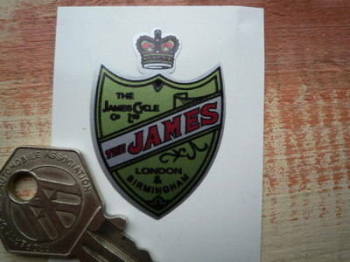 James Motorcycle Oval Stickers. 3.5" Pair. 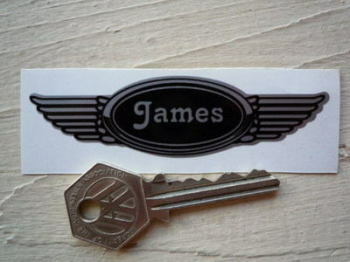 James Shield Shaped Sticker. 1". James Winged Helmet Sticker. 3.5". The Famous James Shaped Sticker. 3". 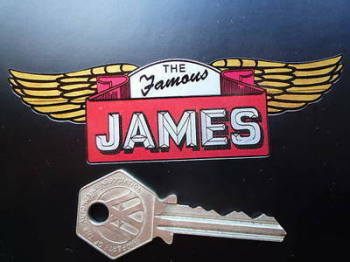 The Famous James Simple Winged Logo Sticker. 3, 4" or 8". The Famous James Winged Sticker. 4".